STG Strength and Power is proudly owned and operated by Michael Petrella (Facebook). STG is regarded by many as one of the finest and best equipped private gyms in the world. Michael is MEDX/HIT Certified (IART), Master HIT Certified (S.P.A.R.T.A. ), Certified as a Youth Fitness Instructor (YouthFit Certified), Winner of the prestiges “Most Innovative Training Program” with the World Head of Family Sokeship Council and coach to 61 AWPC/WPC/IPA/RPS/100% Raw World Records. 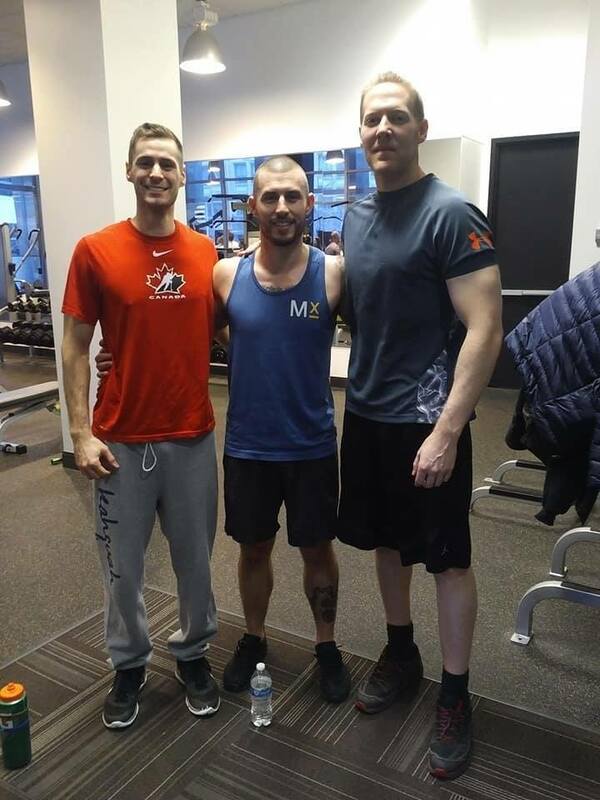 Michael is also the host of Rogers TV In The Gym completing 6 episodes in season 1 and 10 episodes for season 2 and has opened an expanded through 4 facilities over the past 12 years. Lawrence, training your rotator cuff is so easy you might as well throw it in there. The Colorado “experiment” is such a sham, I can’t believe anyone even gives it the time of day. Hello mate, “lying external rotation” light weight, one set to failure. Can tolerate pretty high frequency. You can do it with a resistance band but my anterior deltoids don’t like it! I also do a bit of dedicated scapula retraction exercise. Really interesting interview! Look forward to part 2. The one kind of machine you mentioned, but didn’t link to, was the rotator cuff machine. I wonder what he uses? I’m one of those with delicate shoulders which makes bench pressing problematic. But I love standing overhead barbell presses (done correctly). And a slight incline really does spare the shoulders when doing overhead movements. This isn’t the first time I’ve heard pendulum equipment mentioned favorably by an HIT aficionado. But it also seems popular among those who don’t normally identify as being HIT guys. That’s a win-win, I suppose! Regarding training for power lifting: It is true that some powerlifters focus almost exclusively on the competition lifts when training. But I don’t think that is universally true. Many world class lifters incorporate variants of the lift just to give the body a break from heavily stressing particular structures in that way that happens if you still to just the main lift. In some training systems, heavy max effort deadlifts are done only rarely. In some training systems, leg presses are used extensively as an accessory leg exercise in order to provide lower body volume without overly stressing the low back. Regarding the controversial Colorado experiment: There are now studies out which suggest that using steroids for any significant period of time increases the number of muscle satellite cells (which are necessary to grow new muscle), and that this increase in satellite cells persists for years after steroids are discontinued. So even if Viator had not been using steroids during the duration of the Colorado, he might have been enhanced (not natural) as the result of having used steroids in years prior to the experiment. The other potential issue around this is that steroid use suppresses natural testosterone production, so if he had been using, and then discontinued just prior to the Colorado experiment, he probably would have suffered from very low T, and probably would have felt absolutely like crap. So if he wasn’t on the juice during the Colorado experiment, he probably would have had to discontinue his steroid use years before doing the experiment. I don’t know how that fits in with his history as a competitive bodybuilder. Like Micheal, I find it difficult to believe he could have been competitive as a natural against all the other top body builders of that era, who we now know were using. If one was inclined to game the experiment, the best strategy would be to go off steroids during the starvation diet phase, and then secretly resume use once training again. Since Viator is no longer with us, we will never know for sure. Michael is a blue-chip Iron Man…..The best of the best. Negative-only reps affect the cardiovascular system differently than other rep styles. I have not heard or read from any of the so-called “experts, who have interviewed here, on how this can be used to advantage. Dr. Darden has had excellent documented results with negative accentuated reps….aka as 30/30/30. The adverse effects from resistance training such as decreasing blood vessel compliance may be somewhat alleviated by eccentric reps. The Nautilus “rush” factor may also be of use in sports such as soccer (world’s most popular sport) to enhance muscular endurance. The cardiovascular needs can easily be met by the practice of soccer itself. Please ask Michael about his rotary squat machine.